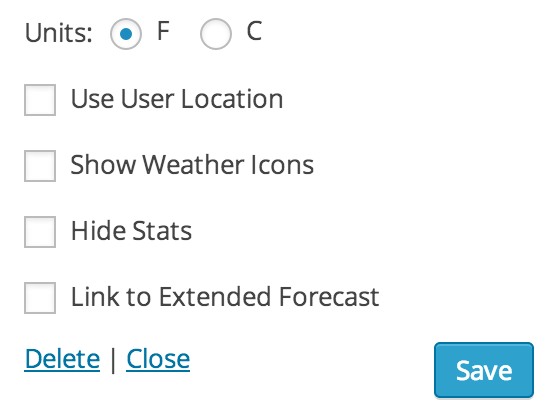 After you have installed the Awesome Weather Widget plugin you will now have a new widget available in the widgets section of the WordPress admin. Drag the widget into the sidebar that you desire. The widget should pop into place and a whole slew of options should appear for you to check out. 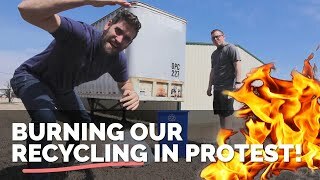 The next couple steps will walk you through the different items. The first thing to choose is your template. There are several to choose from including the ability to create your own from scratch. Select the template you want from the drop down. If you select the custom option, a new field will appear that allows you to specify the name of the template to use. This corresponds to the filename you create in your theme folder. Now it is time to search for your City ID. The different weather providers have different IDs for cities around the world. In the search box type the name of the city you would like to use. It will ping the database in real time to see what is available and fill in the city box with the first result. If multiple cities with that name are available it will ask you to confirm your city. If only one is available it will prompt you with a message letting you know. There is a standard way widget titles are handled within WordPress, which depending on the theme can be a bit annoying. 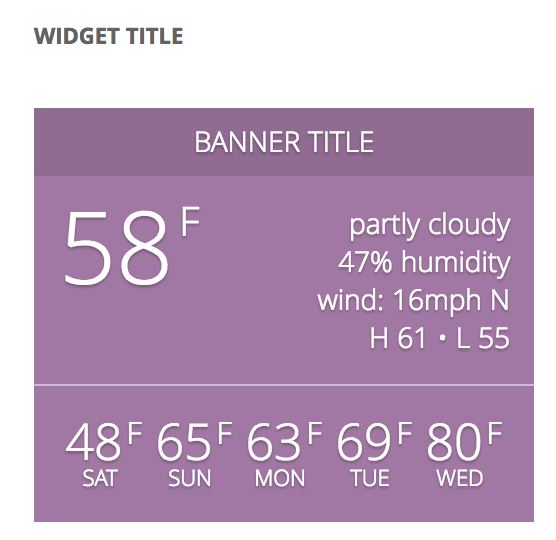 This plugin has a ‘Banner Title’ that looks cool and is inside the widget. There is an optional ‘Widget Title’ that adheres to the WordPress standards and will look however your theme handles them. The image below shows the difference. The forecast is a simple select box. Choose the amount of days you would like to be visible. Some themes may have sidebars that are too narrow, choose your days accordingly. The next two options are for the background styles of the widget. The first allows you to setup a background image. Just upload your image to the media section and then grab the url and put that into this field. 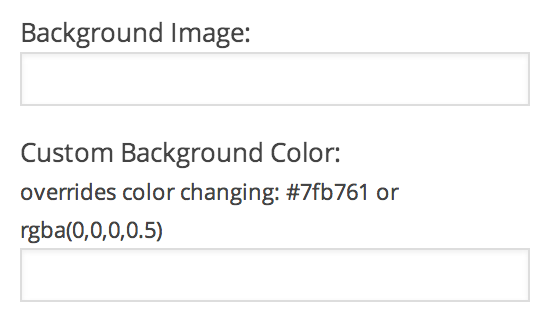 The second options of for a background color. This will not appear if you place an image first. You can put in a hex value, rgba or the word ‘transparent’. The last section has several options that control various aspects of the widget. Show User Location: Use the IP of the user to find their current location and get the weather for them. Hide Stats: If the template uses the stats (or description, like humidity and wind speed) then you can hide that section with this box. Link to Extended Forecast: This will put a link at the very bottom of the widget linking to the weather provider for a longer range forecast. This is also a way to give credit to the provider.